Here is the link for all the songs that you need to be practicing if you couldn't find it before! Hey, everyone! 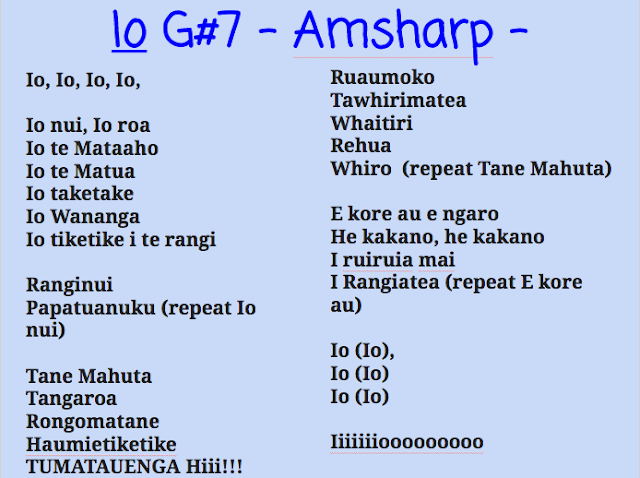 So now that we all know the Pou Mihi its time to polish up the actions and speed and work on chanting it even better. Watch this example of Pa Jack showing us how to do the actions, and what the right speed sounds like! Kia kaha e hoa mai! We need to learn the lyrics for this song. Keep working hard and come performance time we will be ready. This was our first sing through of IO after the school holidays! AOTEAROA - Keep learning the words!